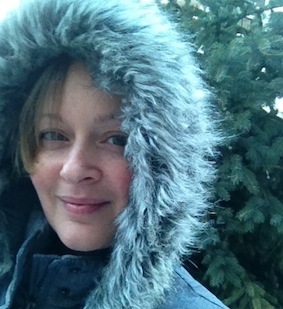 March Break…for those of us who did not escape the cold for much warmer weather to the south it is usually difficult to come up with activities that the kids will love to do while off from school. This Diva did not have to look too far to come up with a delicious and educational excursion that only meant a short drive to just outside of Blyth. 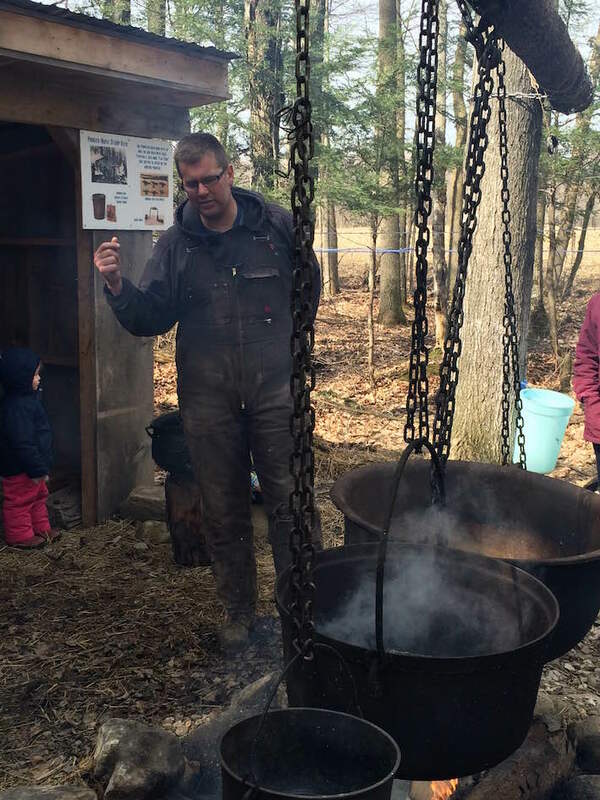 The Blyth Creek Maple Farm was a big hit for kids of all ages (including mom and dad, and grandparents too). When we first arrived we were greeted by the Bachert Family and told that the wagon would be leaving for the bush shortly. What great timing. 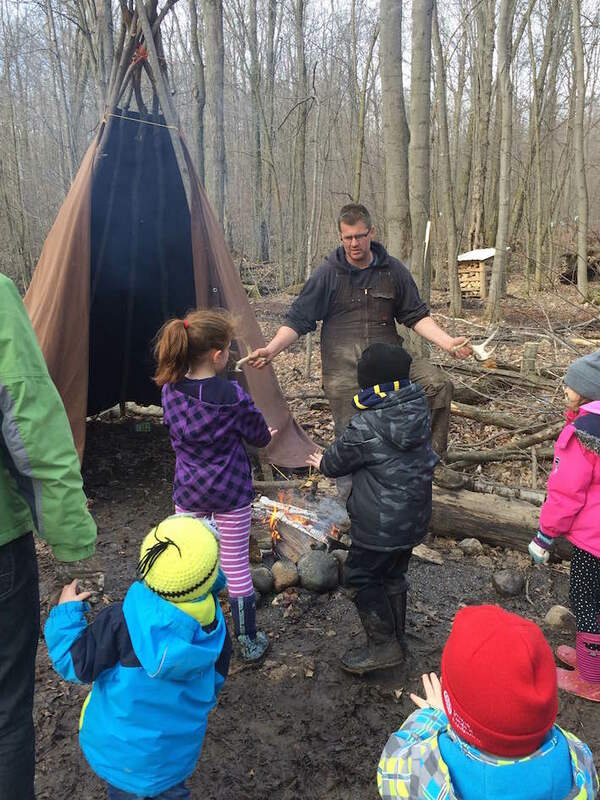 After a short and bumpy drive back into the 30 acres of bush, we were taken back in time to see how the Aboriginal people discovered the sweet sap from the Maple tree and how to turn it into maple sugar. 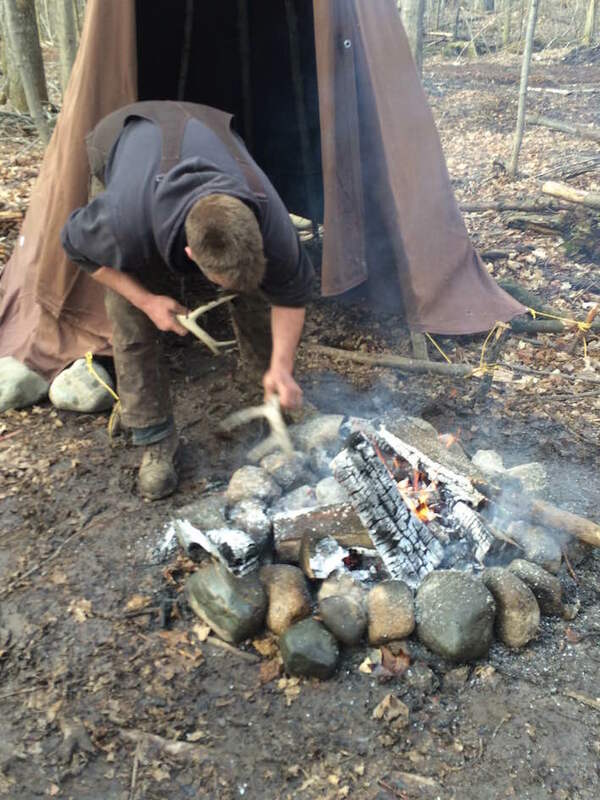 After a chance to try our luck with a bow, we were off to the next camp area that showcased how pioneers worked with the knowledge of the Aboriginal people and developed their own method to make sweet maple syrup – a three-kettle process. 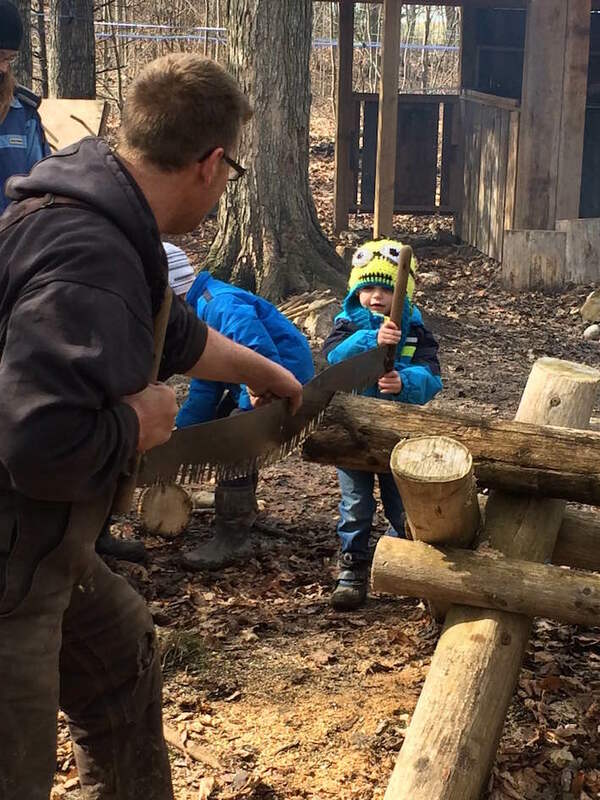 Everyone got a chance to try out a two-man push saw – just like playing tug of war over a toy – and to play a traditional ring toss game that would have been used by early settlers. 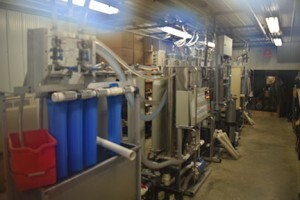 Then we were off to see the modern vacuum system that the Becharts use. 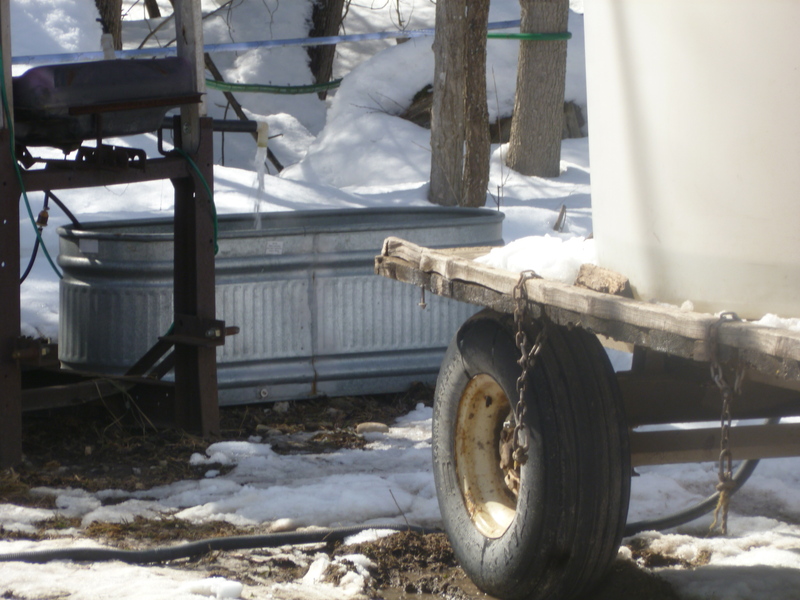 This helps them extract more sap from the maples, which increased their production. They still had several trees that had buckets on them as well but it is so impressive to see how technology is making this job easier. After, we were back on the wagon and it was another short trip to the sugar shack where the magic happens. 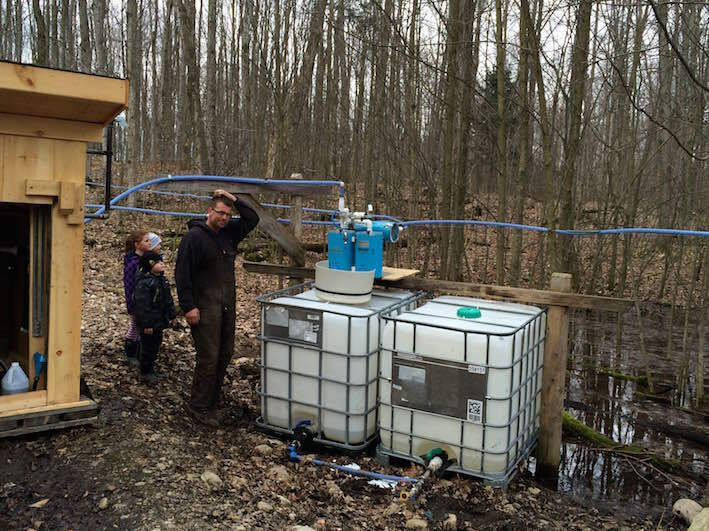 I am always amazed to hear how it takes 40 litres of sap to make one delicious litre of maple syrup. 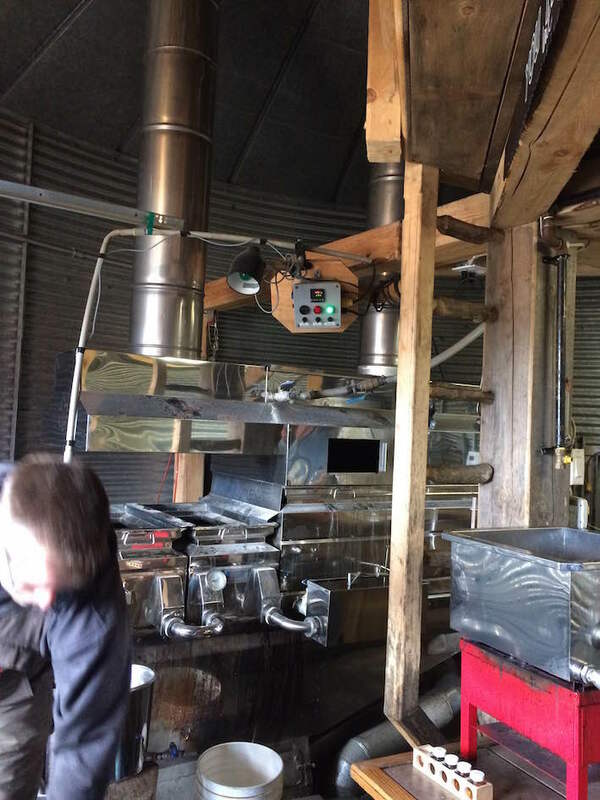 The modern day evaporator was not running yet that day but I could imagine the smell of the sweet sap boiling away working its way to be the best topping on so many things. Next stop was to sample the finished product in the tasting room. This place is a great spot to finish off your visit. They had a fire going and a variety of games to keep everyone busy while the freshly made pancakes and sausages were getting ready for us to devour. 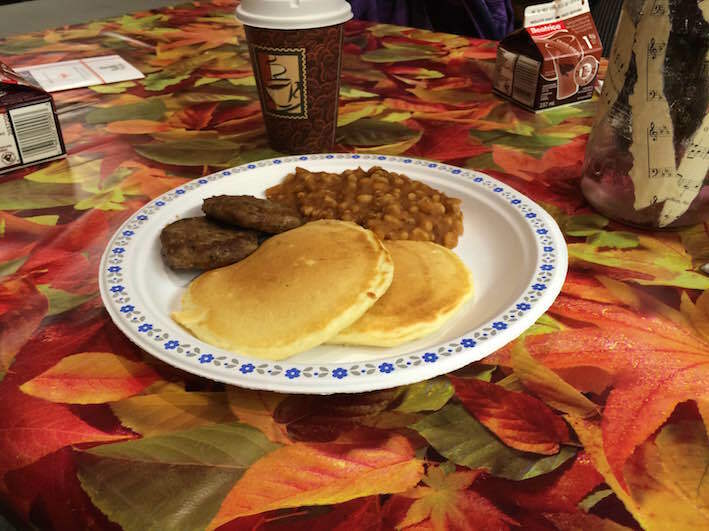 We opted for pancakes, sausages and baked maple beans – although the maple milkshake was tempting. 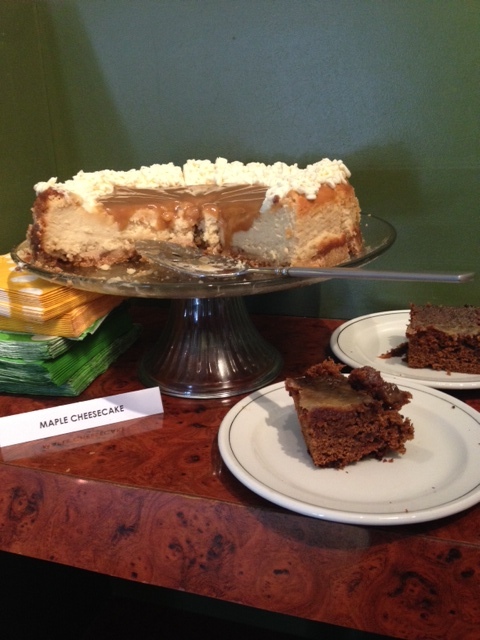 These were topped with a hearty helping of the Becherts’ work that was lovingly enjoyed by everyone in my family. 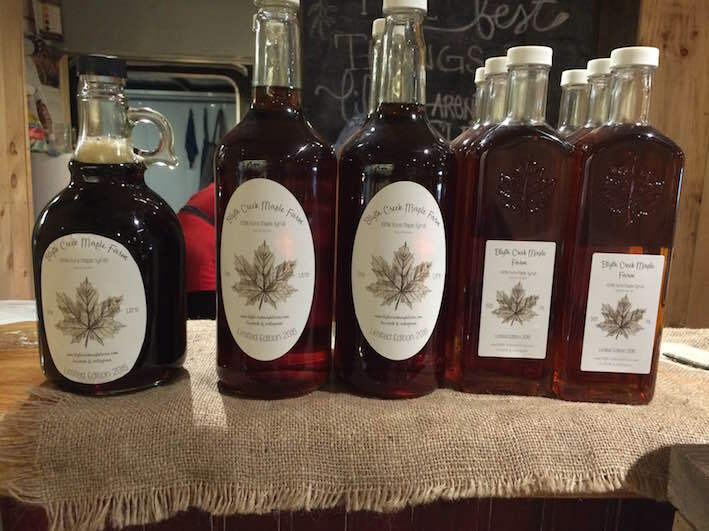 Maple products are also available to take home with you as you will be wanting to keep enjoying this liquid gold treat in any way that you can think of. 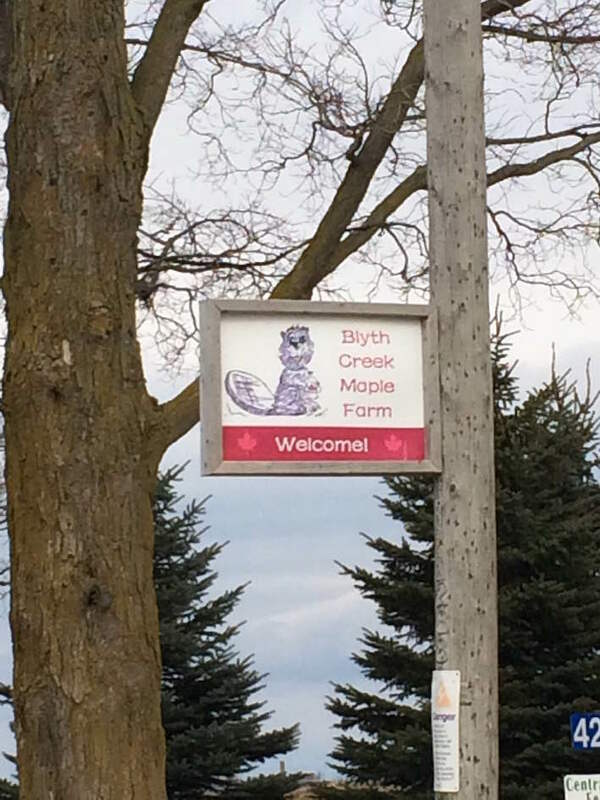 Maple season runs well into April so I would make room on your calendar to check out Blyth Creek Maple Farm this spring. You should plan on spending at least two and a half hours there. 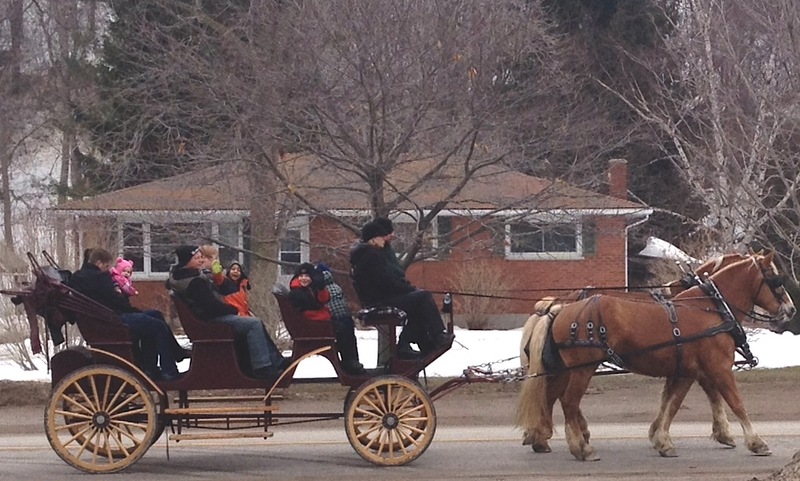 A horse-drawn sleigh carries its passengers along the main street of Saltford. What is it about maple syrup that brings people together? Is it the wonderful sugary finish that completes a lazy brunch? The warm amber glow that signals spring is on the way? 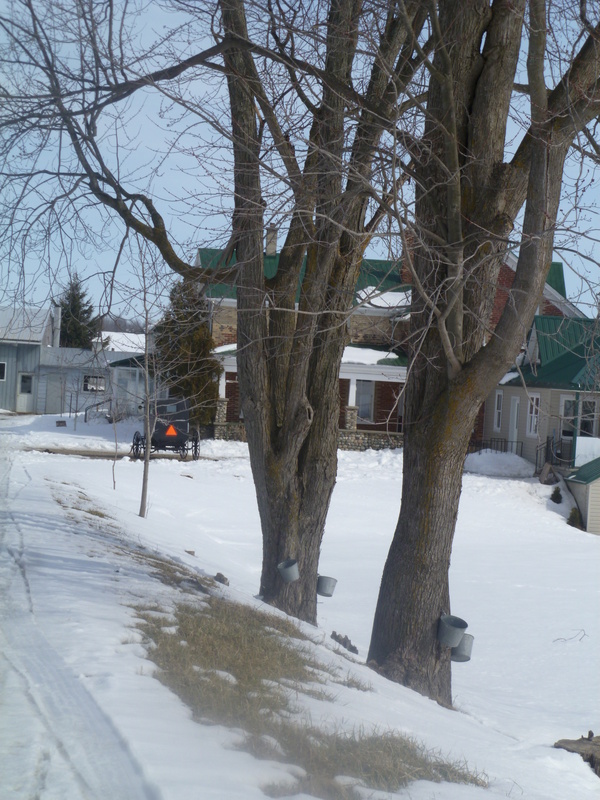 Whatever the reason, there is something about maple that unites Canadians to rural counties. 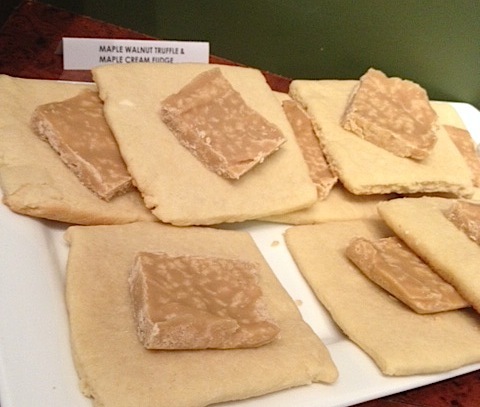 restaurant partnered with local producers Robinson Maple Products to host “Maple Magic Fest”, a two-day celebration of everything maple. Everything MAPLE!! 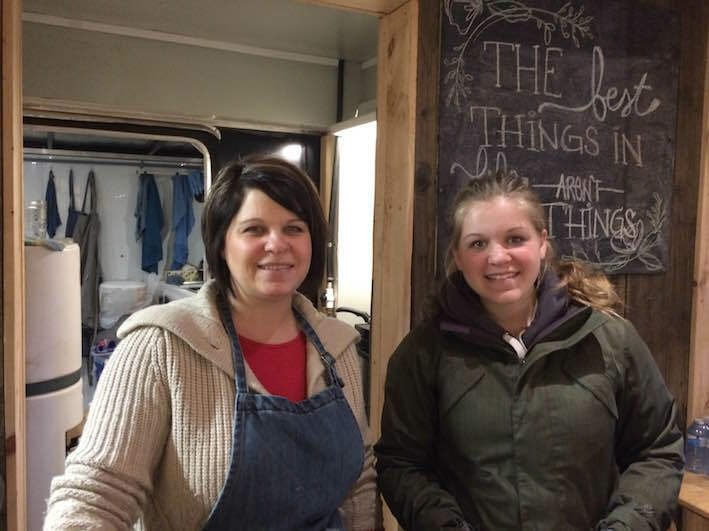 Since neither Lauren, her kids nor I can resist anything maple, we had to check it out. Everything, I mean everything, was maple. Maple Cheese Cake. Maple Crème Brulée. Maple Walnut Truffle. Maple Mousse. Maple Cream Fudge. 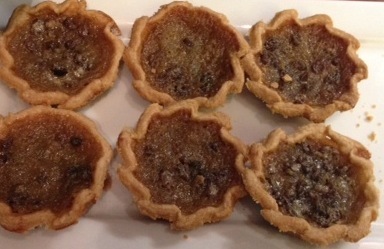 Maple Tarts. White Forest Maple Cake. 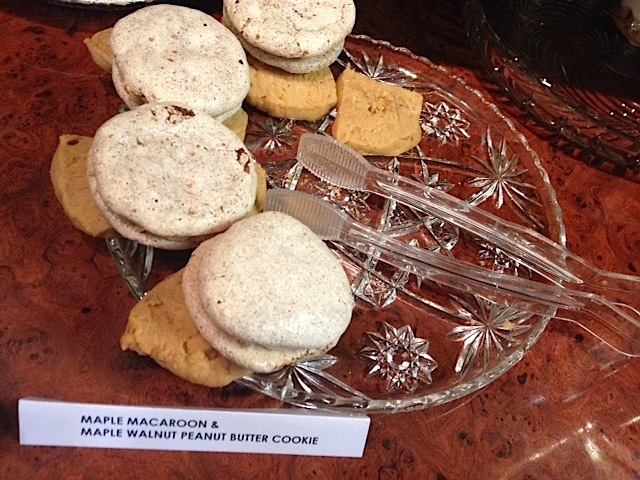 Maple Macaroons, Maple Walnut Peanut Butter Cookies. Our eyes cruised over the treat selections as we sat down to enjoy the homemade chili and hot chocolate that was served as a main dish. As the cheese melted into my chili, my mind focused on the task at hand. Which desert would I get? ! What can I bribe the kids with to make them share their maple treats with me? I tried in vain to calculate how much maple a reasonable adult could put in her mouth before strangers would look at her funny. We made our selections: A well-executed plan of divide and conquer. Iris narrowed in right away on the maple mousse. A wise choice. Emmett took his time, pacing up and down in front of the display till he finally picked out a Maple Macaroon for him and his mom to share. My heart stopped. NO! That was what I was going to pick! I panicked. If I pick the same treat as Emmett then my game plan of sneaking a bite of the kid’s treats would be thrown out the window. I could feel my personal feast of everything maple slipping out of my grasp. Fortunately, there were other wonderful treats to choice from. I quickly regained my composure, took a deep breath and brought a Maple Crème Brulée to our table. You know a dessert is good when the only sound coming from the table is… mmm… mmm… mmm. Heads are bend over their own treats, no bites are shared and no crumb is shown mercy. I only had the Maple Crème Brulée, and it completely satisfied my maple lovin’ soul. Where: 85351 Harper Line just north of the Belgrave Road and east of the Dungannon Road. 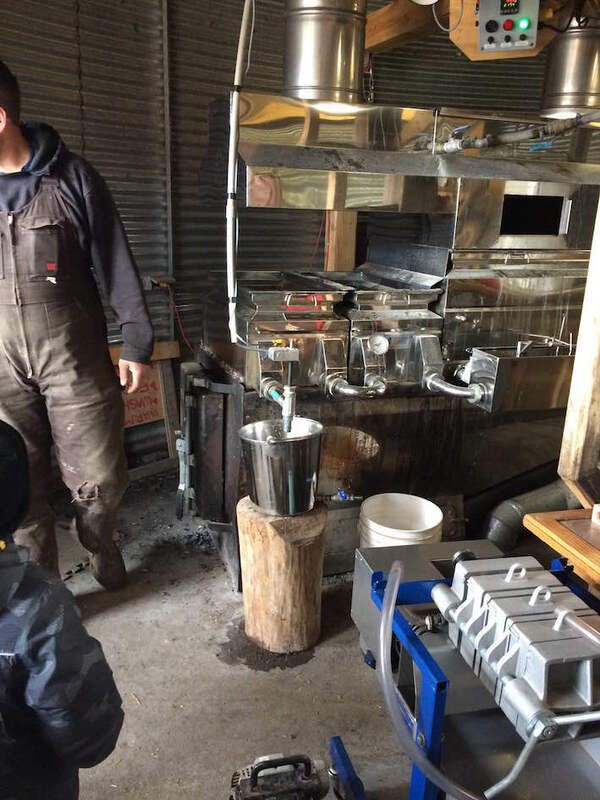 What: A tour of a sugar shack to see how maple syrup is made. Product for sale. 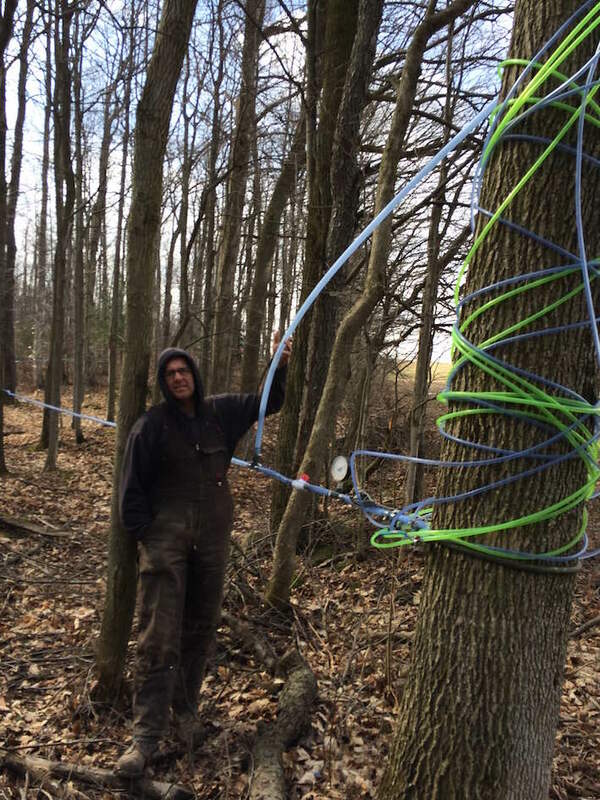 When: As long as the sap is running. 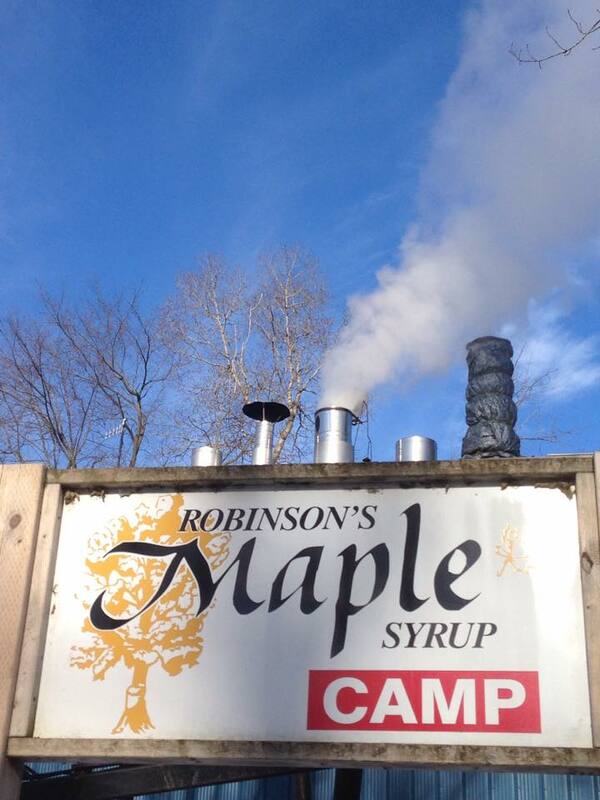 If steam is coming out the stack, maple syrup is in the works. How: Call 519-529-7857 to book your tour or come by chance. 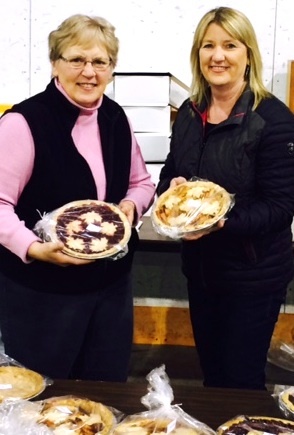 What: St. James Anglican Church in Middleton hosts its annual fund-raising sugar bush tour and breakfast. 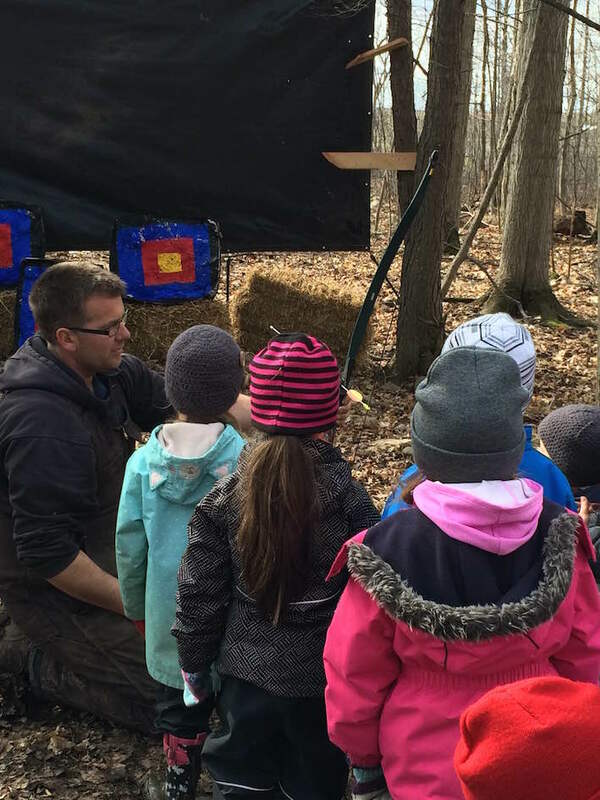 When: Saturday, March 28, from 8:30 a.m. to 12:30 p.m.
Where: Horse-drawn hay rides leave from Pine Lake Campground Recreational Hall, 77794 Orchard Line and travel to Rick Schilbe Farm for a tour of the sugar bush and shanty. 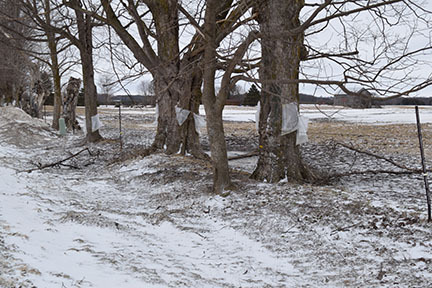 The Bayfield River Valley Trail Association will also lead groups of walkers through the Schilbe maple bush to visit the shanty for the tour. Walkers will depart at 10 a.m. and again at 10:30 a.m. This is an easy ¾ km walk along an old bush road. Cost: The cost for the brunch is $10, adults; $5, children 12 to 6 years; and youngsters aged five and under are free. Proceeds from the event will go to world outreach. 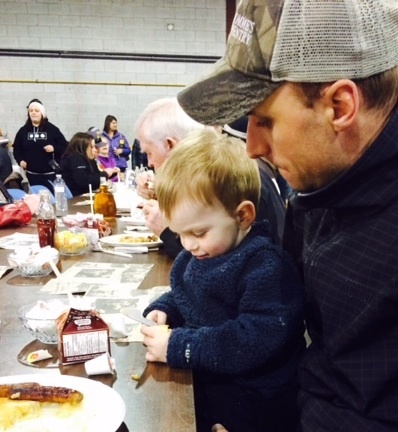 What: A community festival for all ages with crafts, dancing, music to celebrate maple syrup. 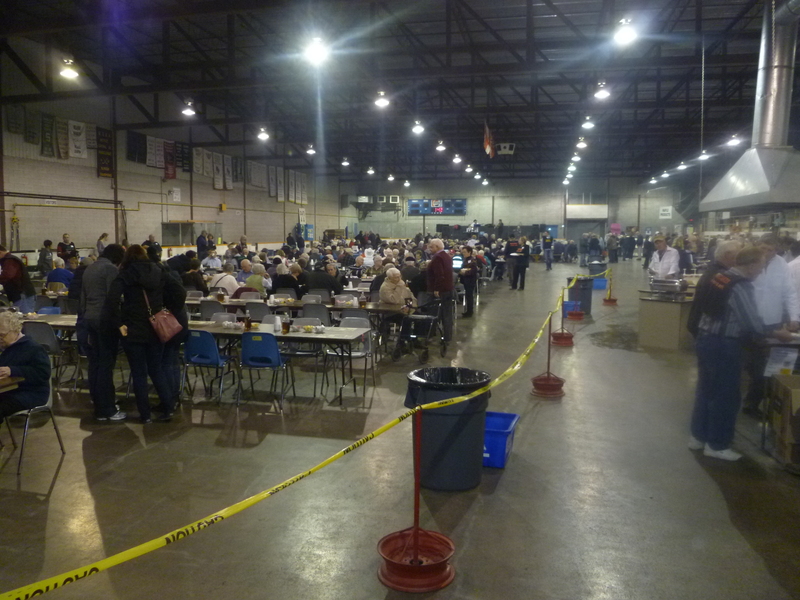 When: Thursday, April 9 to Saturday, April 11, with pancake breakfasts served daily. Where: Belmore Community Centre,91122 Belmore Line R.R.#1 Wroxeter. Cost: Admission to the community centre is free. Meal prices: $10 adults, $5 children ages 6 to 11, free for children under 5. Extend the season by picking up some pure maple syrup and try this recipe at home. Remember to store your syrup in the fridge once you’ve opened the package. In a food processor finely grind graham crackers (you will have about 3 1/2 cups). Melt butter. In a large bowl stir together graham cracker crumbs, butter, and maple syrup and press evenly into bottom and up side of a 10-inch springform pan. Wrap bottom and side of pan with 2 layers of heavy-duty foil to avoid leakage. In bowl of a standing mixer fitted with paddle attachment or in a food processor beat cream cheese on low speed, scraping down side of bowl occasionally, until smooth. Add syrup and eggs, 1 at a time, beating well after each addition. Add vanilla and cream and beat until just combined. Pour filling into crust and bake in middle of oven 1 hour (cake will not be set in centre but will set as it chills). Cool cake in pan on a rack. Chill cake, covered, at least 8 hours and up to 4 days. Remove side of pan. Serve cheesecake in wedges, drizzled with maple syrup. Today, I picked up my dear friend Margaret and braved the (hopefully) last winter storm to attend the 45th annual Festival. 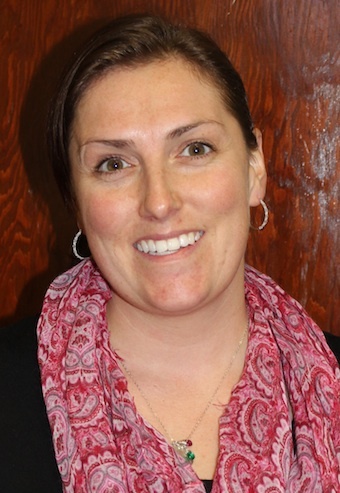 At this link the North Huron Citizen shares the full story! I was not disappointed. This is truly a collaborative community event. Demonstrations, home-baking, and craft displays were available for perusing and/or purchasing. The co-ordination of a super-large corps of local volunteers was terrific. They donned bibs that indicated what they were serving i.e. “Tea, ask me” or “Pancakes, ask me”. 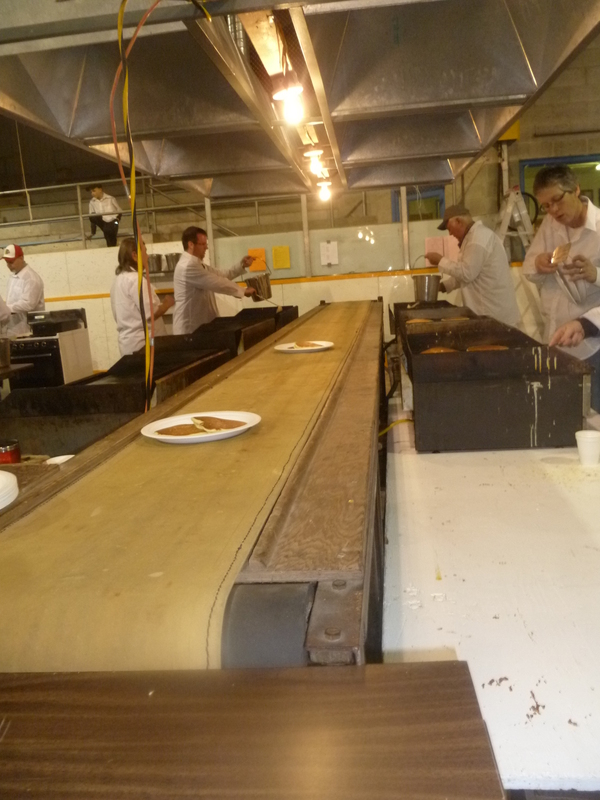 Under a temporary venting system constructed just for the Festival, pancakes rolling down the conveyor belt made me giggle as I thought about the episode of I Love Lucy when she worked in the chocolate factory. 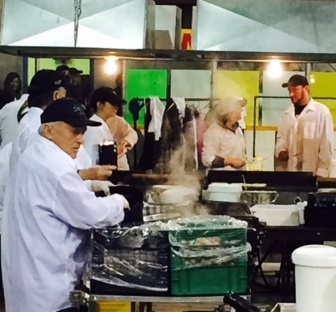 Fortunately, the volunteers in Belmore were able to keep up food prepared for the large crowd today. The secret pancake recipe is definitely a hit! 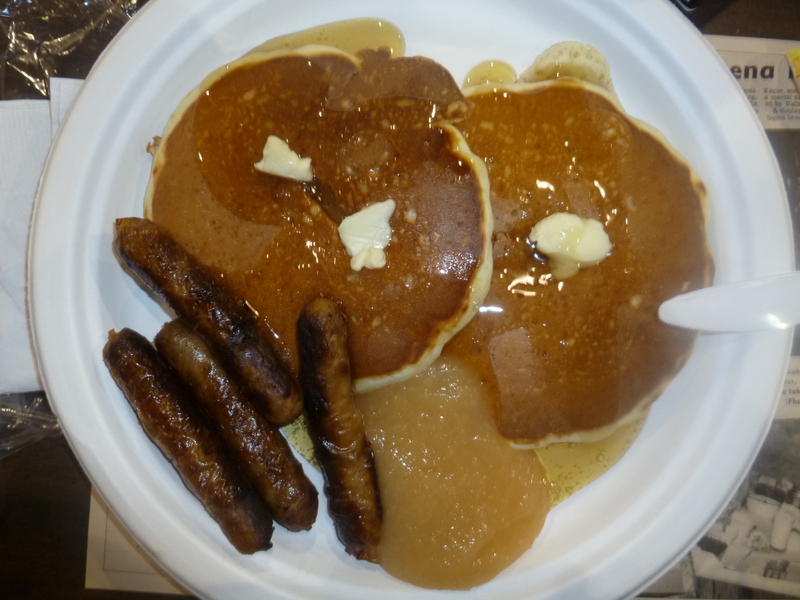 Diners were welcome to eat as many as they wished and the pancakes were served with sausages and applesauce … and topped, of course, with lots of maple syrup. In the background, live from the stage, we heard familiar old-tyme fiddle tunes. It’s obvious the community truly enjoys coming together to support and contribute to this wonderful spring event that raises funds for the annual operating expenses associated with the Belmore Community Centre. 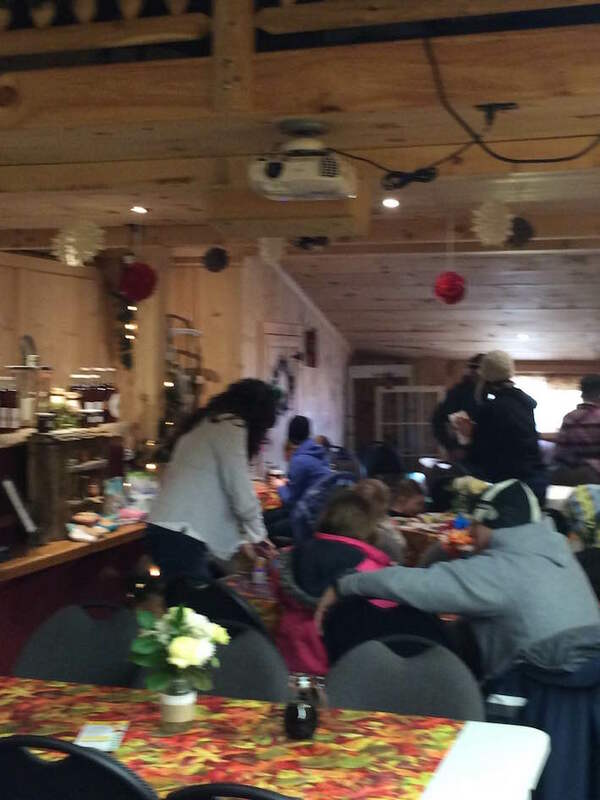 Laughter and fellowship were being shared everywhere in the Community Centre as approximately 1100 attended on April 13 (at least five busloads had cancelled due to the storm). Fortunately the Festival runs another day. 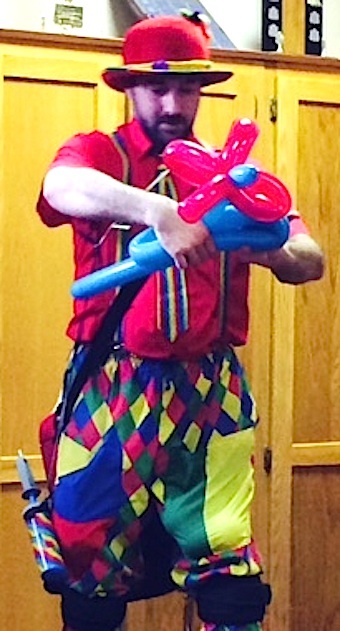 And on Saturday a children’s program will be available. You should go. Saturday April 14th from 8:30 am – 6:30 pm. 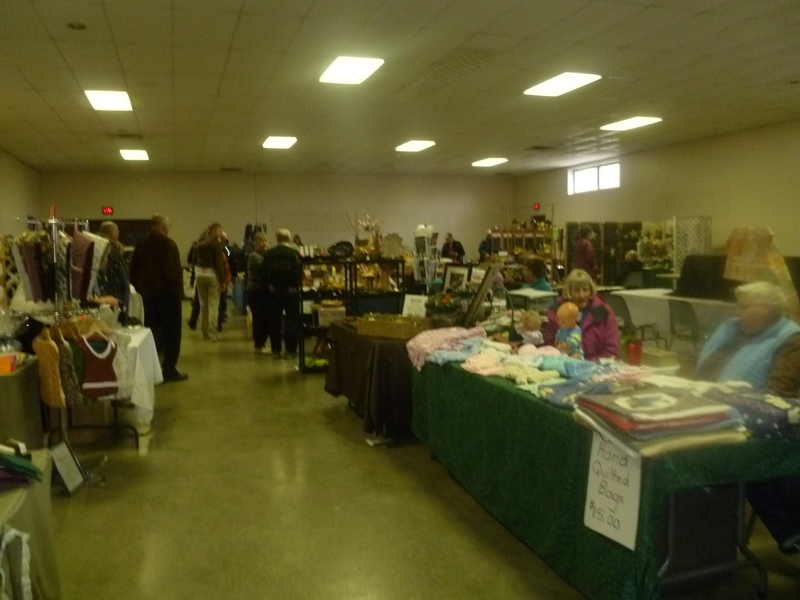 craft vendors filled two room adjacent to the ice surface in the community centre. 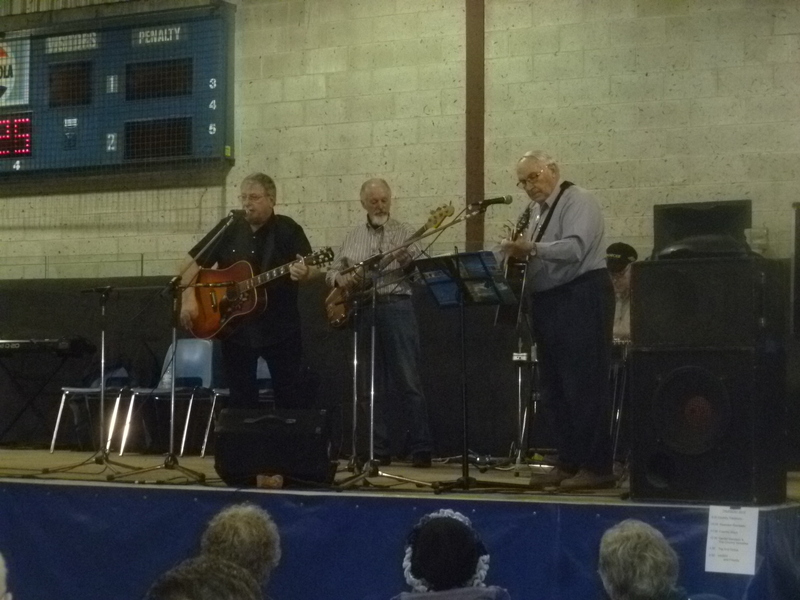 Live music with old-time fiddle tunes was popular with the crowd.